Wheeee! 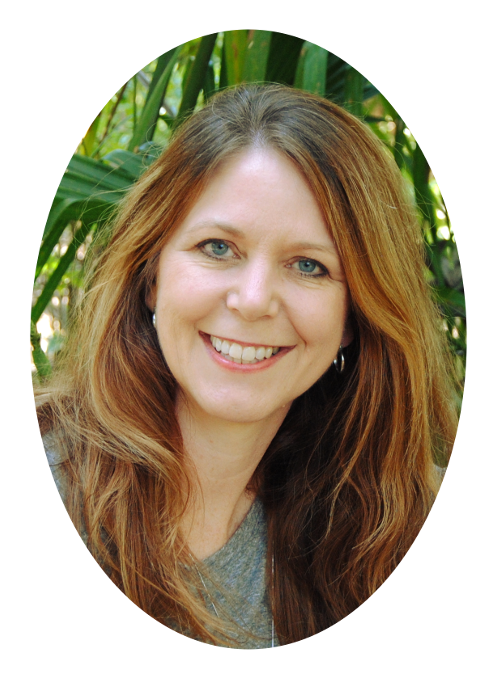 I am so excited to be today’s stop on Bonnie Christine‘s Cultivate Blog Tour! 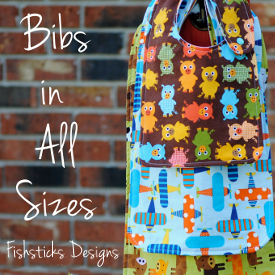 Have you seen the beautiful fabrics that she’s designed for this collection? (And, do you know what a great name she has?) I adore the knits that are included in this collection. They’re 95/5 cotton spandex stretch jerseys that are a wonderful weight and luxuriously soft, and they’re so easy to work with! 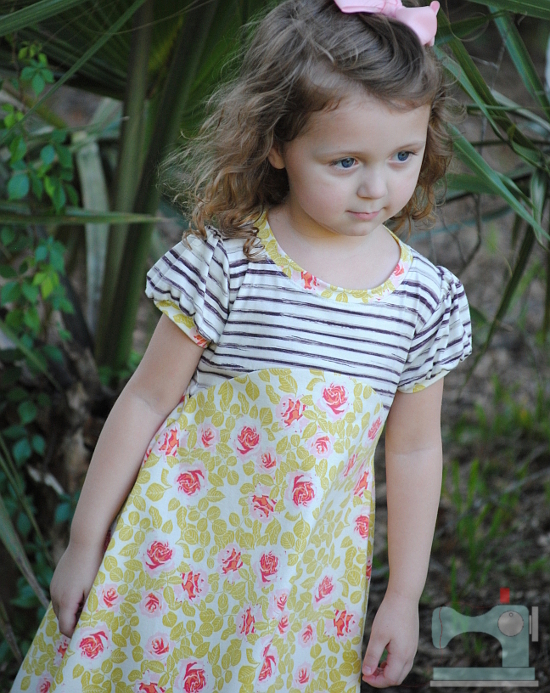 I paired the Cultivate knits with my Playhouse Dress pattern to make this dress for Katie, and I’m in love! Isn’t it so pretty? Bonnie says that the Cultivate collection was inspired by her love for gardening. 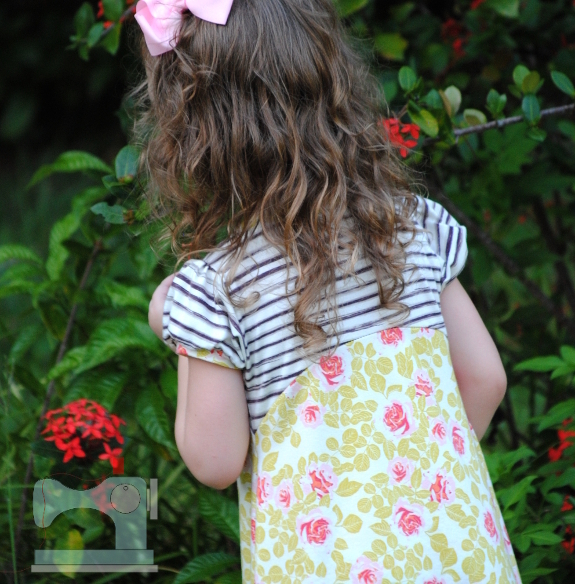 “It’s about the often overlooked importance of a simple flower garden.” We set out on an hunt for butterflies in some of our neighborhood flower gardens during our photo shoot. Sadly, no butterflies were to be found. 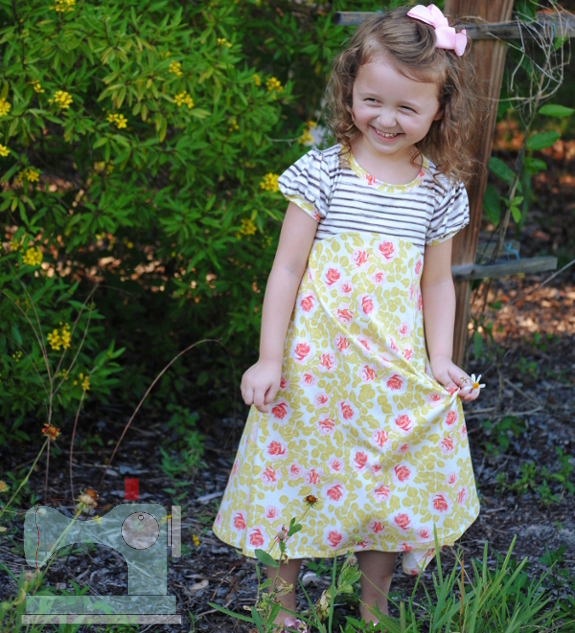 Thankfully, enjoying the beauty, being a little silly and smelling the flowers made Katie smile anyway! 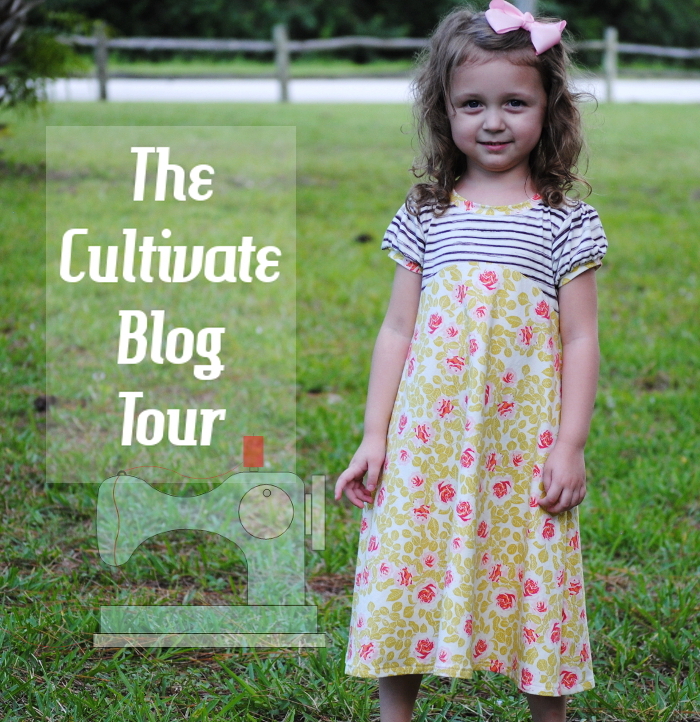 Be sure to follow along with the rest of the Cultivate Blog Tour for plenty of sewing inspiration! 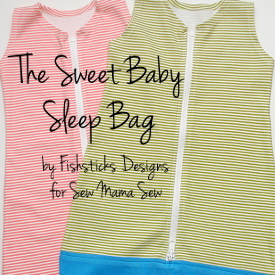 The dress that Sarah from My Crowded Nest made for herself in yesterday’s post is just perfect. Her photo shoot is so much fun, too. I would love to go visit that little shop! There have been so many fun projects already. I can’t wait to see what Scavenger Annie has in store for Monday over at Calico Dreams! 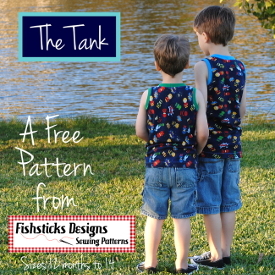 If you’re inspired to sew something with these beautiful fabrics, you can purchase the whole collection right here! Thank you, Sarah! I love it, too! Oh my. She’s the cutest little thing!! And her dress is wonderful! Aw! Thank you, Maxie! We think she’s a cutie, too! This is fabulous! 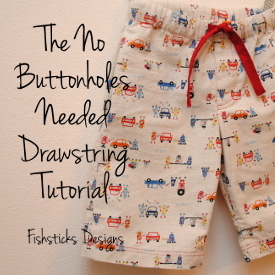 I haven’t sewn a Playhouse Dress for a while and this little one makes me ready to do so again!! 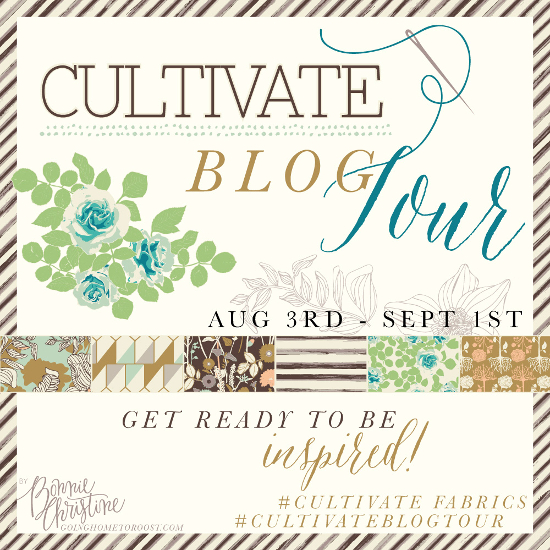 I was excited when Bonnie Christine asked if I would like to join the blog tour for her latest fabric line Cultivate. Don’t you think?